They say there’s history in these waters, and that is true. Beneath the calm, clean waters of Dale Hollow Lake are the remains of farms and towns tamed from a wilderness by settlers to these hills and valleys first penetrated by long hunters and, before that, roamed for 15,000 years by natives to this land. Since the flooding and building of Dale Hollow Dam in 1943, the Lake has become part of history and welcomed those who were writing their own. Explorers and adventurers still seek the place. Some ride horses on trails laced into the challenging terrain of the Highland Rim. Others hunt the primordial forests or fish the clear depths of the lake. 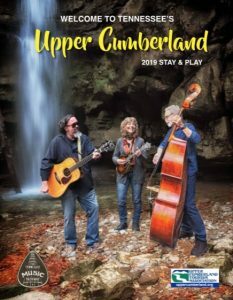 Birdwatchers, hikers, spelunkers and archeologists may find bald eagles, waterfalls, caves and shale-rock fossils on the Lake’s banks. Springs, creeks and streams meander their way to the Lake, naturally, constantly cleansing it. There’s not just history in the waters of Dale Hollow Lake – there’s promise, too. The promise of memories. The promise of fun. Catching the fish that beats a world record smallmouth bass once pulled from Dale Hollow Lake. Houseboating with friends. Feeding a goat named Butternuts who’s claimed his own Lake kingdom. Teaching the kids to ski. Diving to explore the ruins of a community. Watching an eagle take flight. Floating through the reflection of the setting sun on the Lake. There’s a future in these waters, and that future is yours to claim. 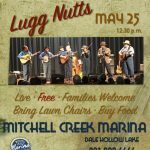 Explore Dale Hollow Lake from Mitchell Creek Marina. 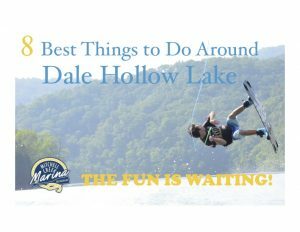 Download the latest Dale Hollow Lake Marina Guide Here.